Unless you've been hiding under a rock, you might know that Matcha green tea is becoming pretty popular. There are Matcha tea shops that are popping up and Starbucks has their own Matcha line now, too in the form of Green Tea Smoothies. But, what exactly is Matcha? Matcha is a green tea powder that is actually made from the whole green tea leaf. Green tea is grown it's last three weeks under shade. When it's grown under the shade, the tea leaves produce more chlorophyll and higher levels of amino acids. The chlorophyll is what creates Matcha green tea's vibrant green color. Only the choicest teabuds are chosen for Matcha. The process continues by drying the leaves and then grinding them into the powder. The powder is then mixed into a small amount of hot (not boiling) water and whisked in an "M" shape in a small bowl. The process of making Matcha tea began in China and then was taken to Japan in the 12th century, but now it's gaining popularity all over the world. 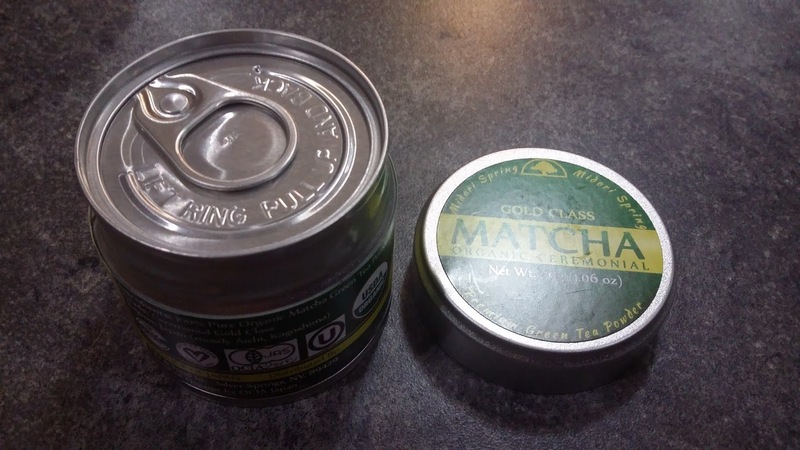 I've recently been given the opportunity to try out Matcha tea for the first time. 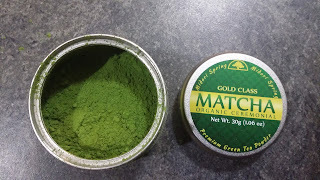 I received this Midori Spring Organic Ceremonial Matcha product for free in exchange for my honest opinion. All opinions are 100% my own. 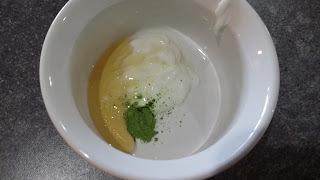 The Matcha green tea that I tried is from Midori Spring. It's a fairly new company founded by Ying Han. You can read all about her at the Midori Spring's website. When she was searching for natural ways to help with some health issues she was having, she started drinking Matcha green tea. She decided she would like to share Matcha's health benefits with others. You can also follow her and Midori Spring on Facebook and Instagram. Matcha green tea is better for you than regular green teas because all of the amino acids and polyphenols are increased because of the way it's grown and processed. You get the benefits from the whole leaf instead of just having the water that was steeped with the tea leaves. Matcha tea has caffeine to help you stay alert, but the L-Theanine is calming. That means you don't have to worry about jitters! The Midori Spring Matcha that I tried is such a pretty green color. The taste was smooth and not bitter at all. You definitely still get that green tea taste, but not too much bitterness. I wish I had the Matcha accessories to go with it~~a bamboo matcha whisk and a matcha bowl~~but my little metal whisk and small coffee cup work just fine for now. The Matcha I tried is ceremonial grade which means that it's a higher quality than food-grade Matcha. It's the type of Matcha that is used in traditional tea ceremonies. From what I read, the Buddhist monks drank Ceremonial Grade Matcha before they meditated. 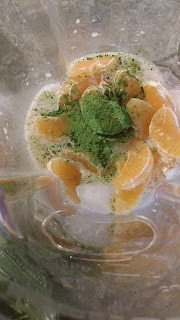 A bonus is that this Matcha from Midori Spring is Organic. You guys know I've been trying to go more Organic lately. 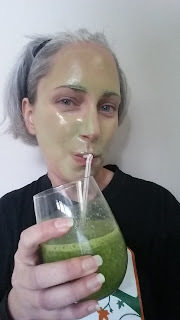 I did end up using some of mine in a Citrus Matcha Green Smoothie and a Matcha Yogurt Face Mask. I managed to take 15 minutes for myself yesterday to relax and enjoy my tea. The Matcha gave me energy to fuel the rest of my day. . . . . and a busy day it was! I received the 30 g. tin. It has about 30 servings depending on how much you use each time. The directions for use are written right on the can. The can has an easy-to-remove pop-top and should be stored in the fridge once it's open. Here's what I used for my relaxing 15 minute spa-like time to myself. . . . Mix all of the ingredients for the face mask together until well-blended and spread on your face in a thin layer. Leave on for 15 minutes and then wash off. Some parts will dry. Some parts may stay wet depending on how thick you spread the mask. I found it very easy to wash off. My skin was so soft after the mask. The yogurt and honey are both moisturizing and the honey and Matcha have antioxidants. I look forward to the health benefits that drinking this can impart! 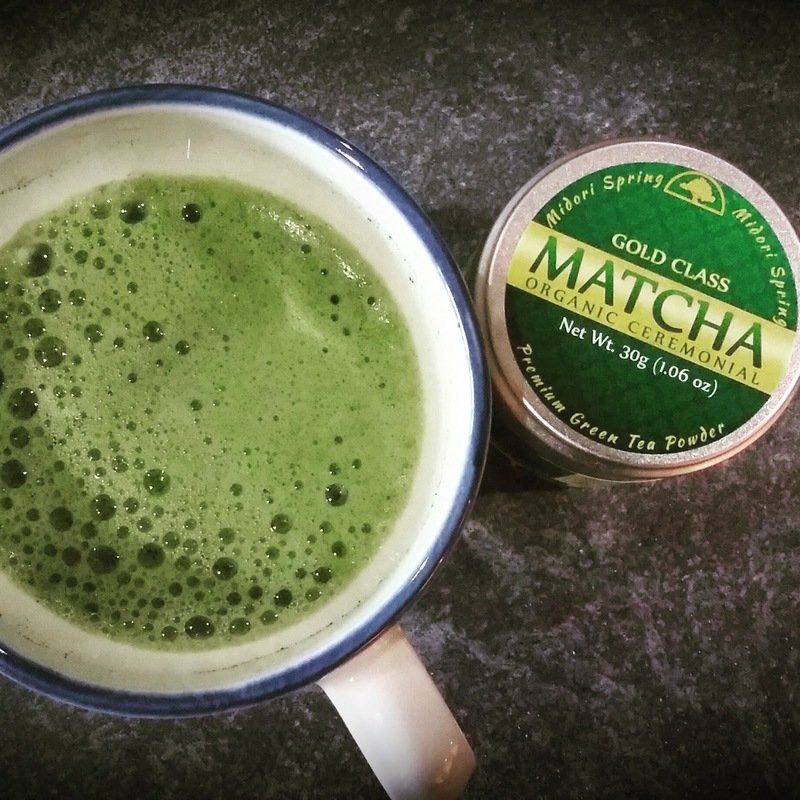 Have you ever tried Matcha green tea? I drink matcha tea but haven't added it to anything yet. I'll definitely try this smoothie.